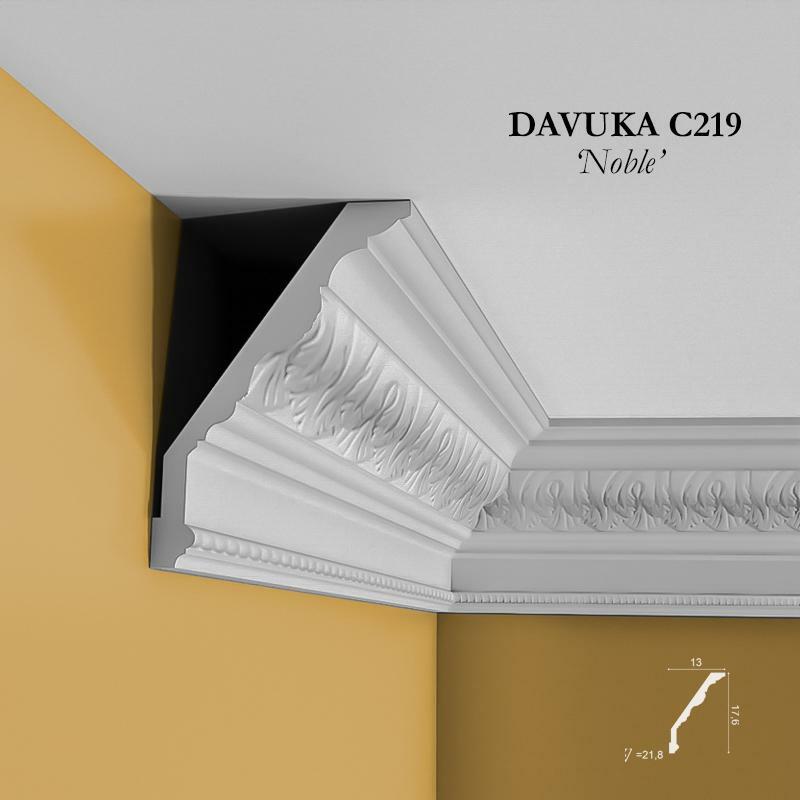 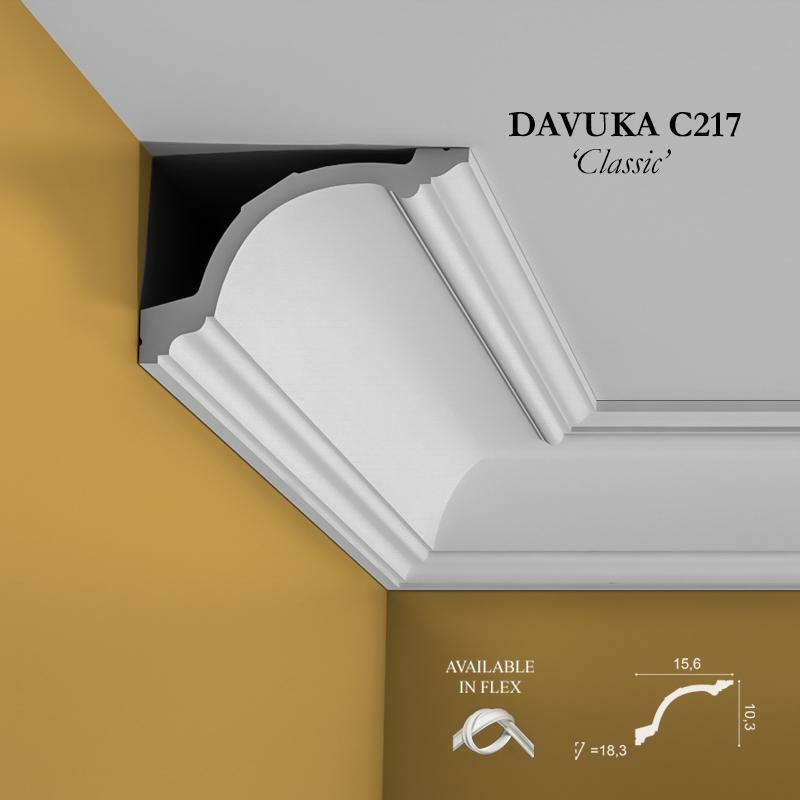 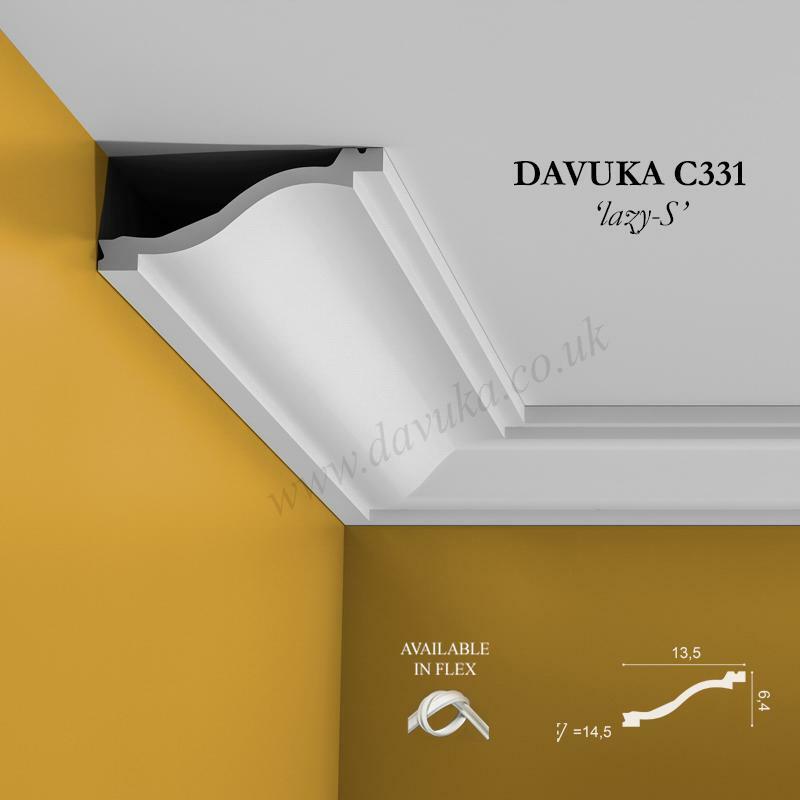 Davuka cornice C331 – Similar to C220 ‘Reach’ in that it extends across ceiling, but with a subtle curve that is very pleasing on the eye. 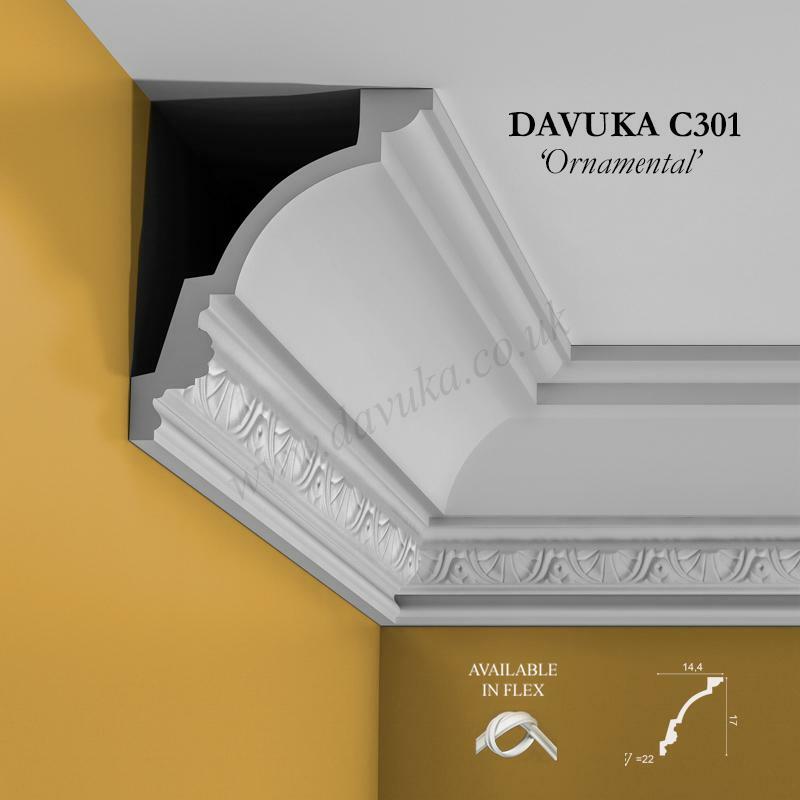 Cornice available in 2m lengths. 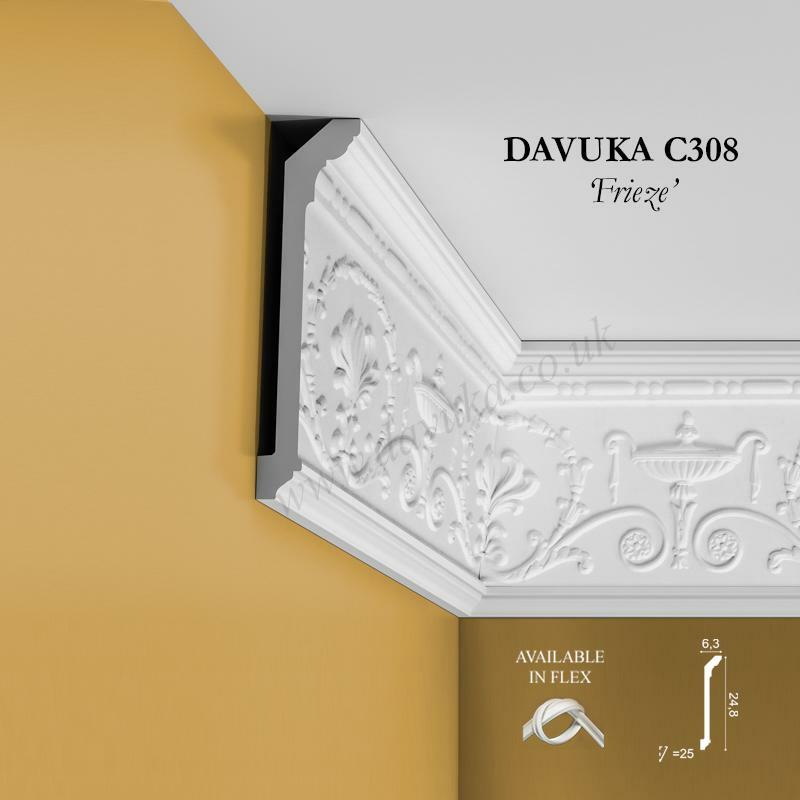 Using Correct Adhesives for the C331 ‘lazy-S’ cornice – IMPORTANT!